Learn art and graphic design techniques in this relaxing and creative pattern design class! We are delighted to add our latest class following the success of our Mandala and Mandotla Classes, which have attracted over 300 students!! 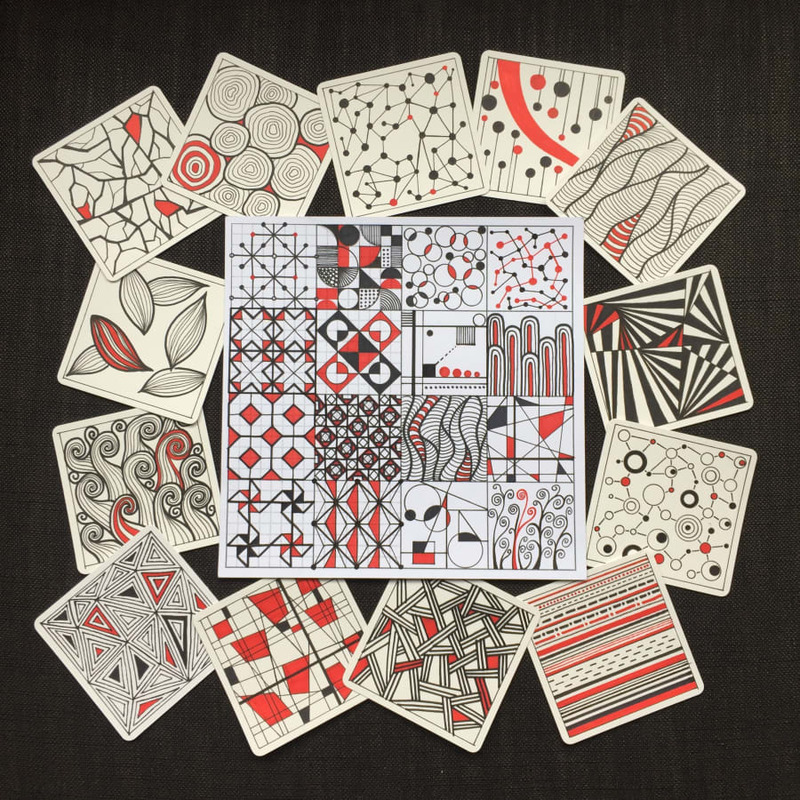 We have continued with our theme of mindful creativity in this wonderfully chilled out pattern design class!! Your teacher, Ubie, is a qualified and experienced graphic designer and in this class we blur the lines between the structure and techniques of graphic design and the freedom of your innate artistic imagination and creativity! We start the class with 3 simple features, the dot, the line and the plane. From there we build up and teach you, one-by-one, some of our bespoke patterns, building in symmetry, thick and thin line strokes and colour if you wish! Once you have learned the key skills it's time to start building up your own designs with Ubie's guidance. We work in a grid format to start with to provide structure to your work. Once you have built up your confidence and preferences, we move on to apply the patterns to one of our bespoke templates (landscape and mandala) or, your own design. The choice is yours! 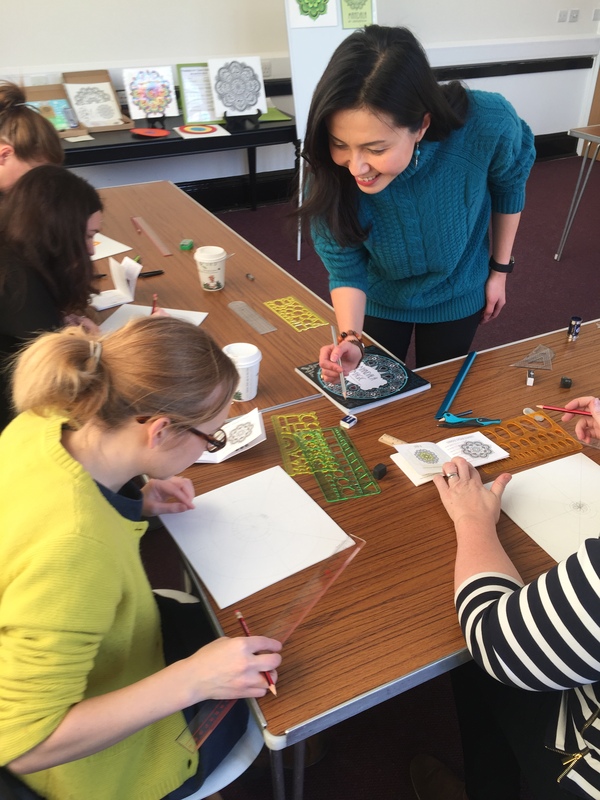 At the end of the class you will have learned lots of new art and design skills and have created your own beautiful piece of work to take with you! Our students always comment how centred and relaxed they feel after focusing on their creative work. The time will fly by and you will feel delighted with your creation! 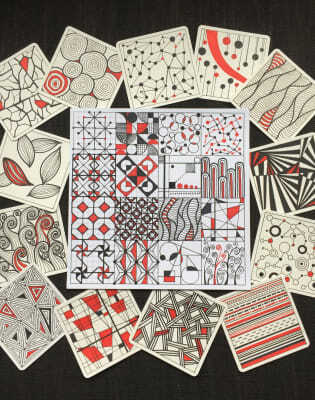 Your completed pattern grid and your artwork on good quality paper that will be suitable for framing. I attended the Mindful Pattern course with Ubie which was really fantastic. Ubie has a very friendly and encouraging way of teaching. The classes are small and you get lots of attention and help from her as well as lots of encouragement. I particularly like that Ubie Takes pictures Of you While you are working and at the end of the session which she then sends on to you. There is plenty of refreshments throughout the session. 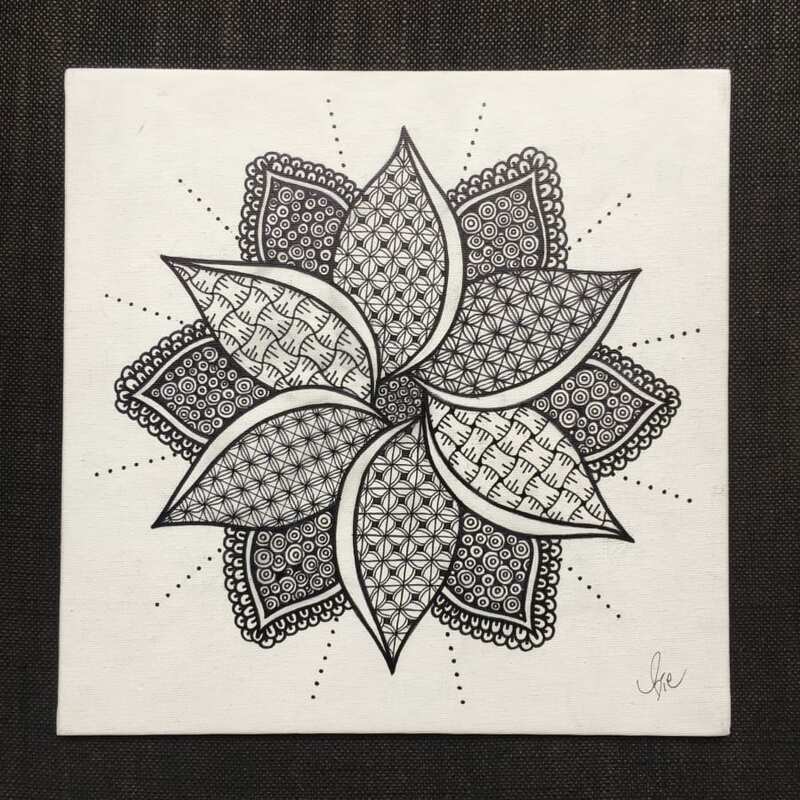 I really enjoyed my day and would highly recommend Ubie‘s other sessions as well, such as Mandala drawing and painting which I attended beforehand. All materials are provided, so all you need to do is bring your imagination and enthusiasm to learn something new!